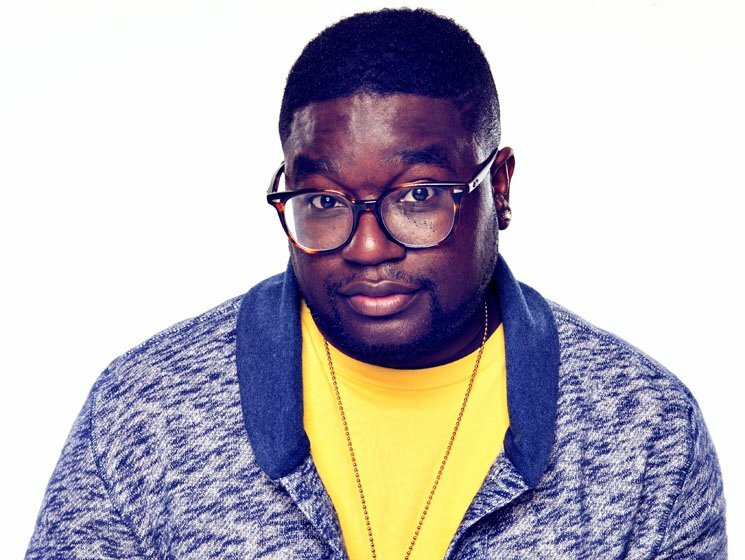 Taking into account that the goals of a fulfilling conversation don't always overlap neatly with those of an entertaining performance, watching Nicole Stamp interview Lil Rel Howery on Saturday was nonetheless an enjoyable way to spend an afternoon. A fascinating look at the comedian in a relaxed setting, the conversation felt open throughout, as Stamp steered chronologically throughout Howery's life, offering him opportunities to share stories about his childhood, his career, his personal life, show business and more. For the most part, this was simply a matter of staying out of Howery's way. With a tendency to respond to questions with extended monologues, Howery's mind occasionally seemed to be working faster than his mouth was, leading to a few unfocused moments. Of course, it was these same tangents that allowed the conversation to take on its informal tone, producing some of the afternoon's most memorable moments. One particular detour about eating chicken at Tiffany Haddish's house with Chris Rock and Issa Rae prompted Stamp to riff about the possibility of a show called Comedians in Cars Eating Chicken, drawing big laughs from the audience. Inexhaustibly charming, Howery periodically enlivened the conversation with his signature flare for character work and storytelling, performing spot-on impressions of the people he referenced, and enriching longer anecdotes by referencing minor, yet compelling details that drew the crowd in further. Equally thoughtful when given the opportunity, he also shared valuable insight about his slow burning career arc, his excitement about his new show Rel, and the art form of comedy more broadly. On this latter point, one particular insight he shared about how the art form's current prioritization of political correctness may simply be an overcorrection to the previous generation's trend of over-the-top shock humour seemed particularly salient. Inevitably, though, the nature of chronological interviews is that they tend to make conversations feel almost utilitarian, allowing participants to touch on the largest number of subjects, while also preventing them from diving too deep into any one particular area. Through no fault of either Stamp or Howery's, there simply just wasn't enough time for all the followup questions one could have conceived of, or to explore the compelling minutiae that often produces the most gratifying discussions. Certainly, there were moments when Stamp could have interrupted Howery to keep things moving, but then the audience would have undoubtedly lost out on some other fascinating nugget, creating another trade-off. Considering these challenges, the pair made the most of the time they had available, putting on a satisfying event for an enthusiastic audience.